I have a confession to make. I’ve been sitting on a secret. Well, a few secrets actually … but this is one secret that I can FINALLY share with the world today! SO GET EXCITED BECAUSE WE CAN ALL FINALLY TALK ABOUT BOOK + MAIN BITES!!! Read on to learn about this amazing, awesome and revolutionary new platform for bookworms! It will change the way you find your next book! I’m part of a fantastic group of authors who were able to test a new and AMAZING platform called Book+Main Bites. 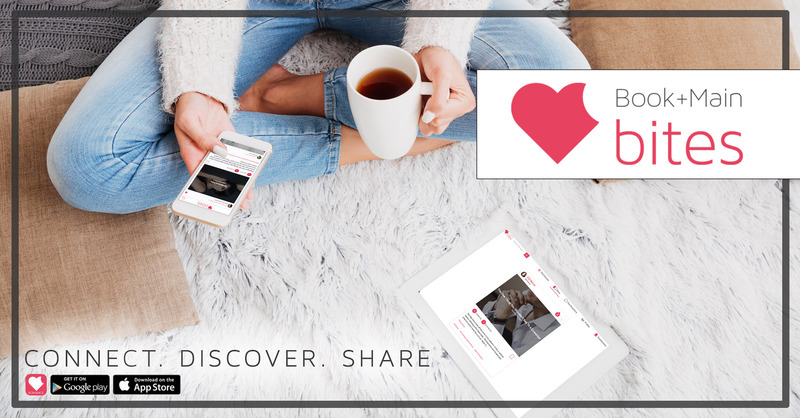 It’s a place where romance readers can follow their favorite authors, discover new books and share their favorites! The site is content-based, which means no traditional teasers or sale graphics. It’s 100% content in the form of excerpts and bonus scenes. The site goes live on November 8th, but you can pre-register TODAY!!!! So head on over and sign up so you can follow me and all of your favorite authors! And when you’re done, be sure to enter this Rafflecopter Giveaway!